A roof is one of the most important parts of your home. Knowing how to care for it and knowing what to do when it needs repair can help you protect yourself and your home. Damage comes to a roof with high amounts of precipitation. This is snow in the winter and storms in the spring. The best time to inspect your roof is during the early summer months when your roof is dry and it’s not to hot. When you inspect your roof look for bare spots in the shingles. This is a sign of the asphalt becoming brittle and deteriorating. You may even find granules in your gutters. If your shingles are curling then it is time to replace them. Signs of a faulty roof can also be found inside your home. Water spots on your ceiling or along the outside walls are classic signs of water penetration from the roof. Check your attic once a year to ensure that it is dry as well. Wet or moldy insulation can cause damage to your home, and can be prevented by a properly repaired roof. The easiest way to check for holes in the roof is by looking for light in the attic. 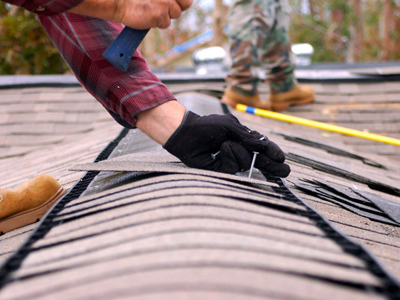 If there are problems contact a roofing contractor for assistance.